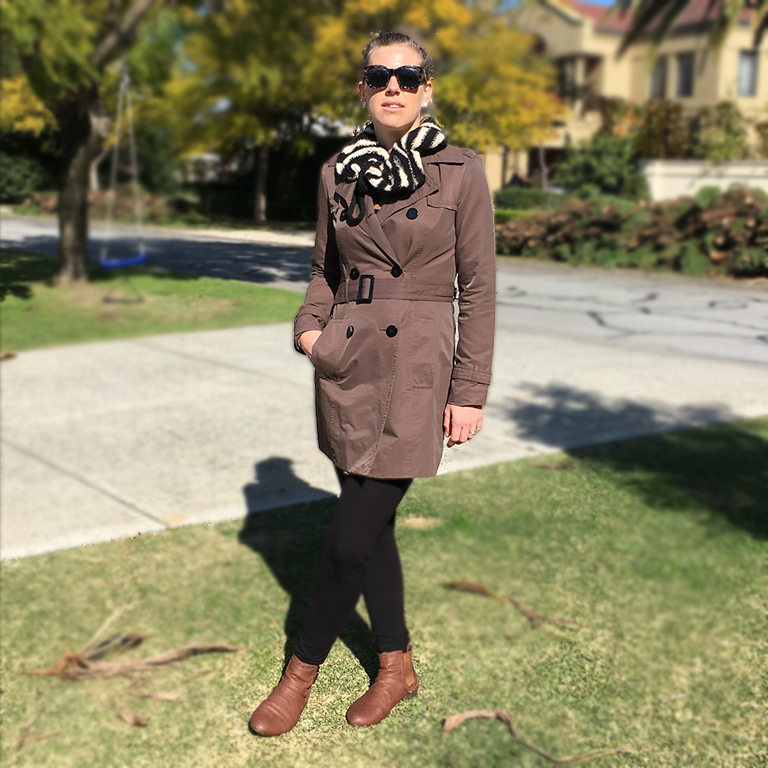 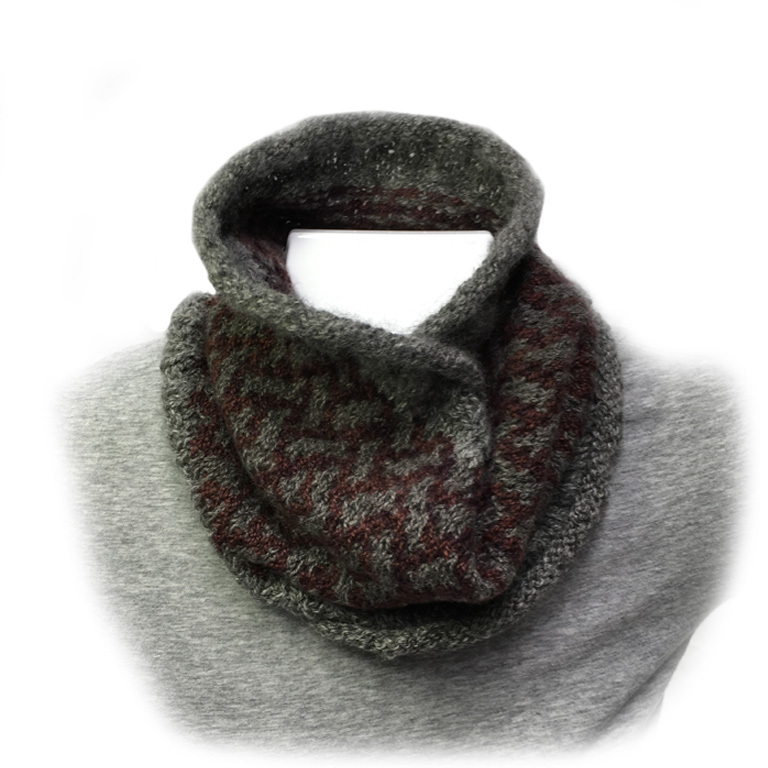 Gathered loosely and tied with the knit drawstring, or gather the scarf for cosy warmth around your neck. 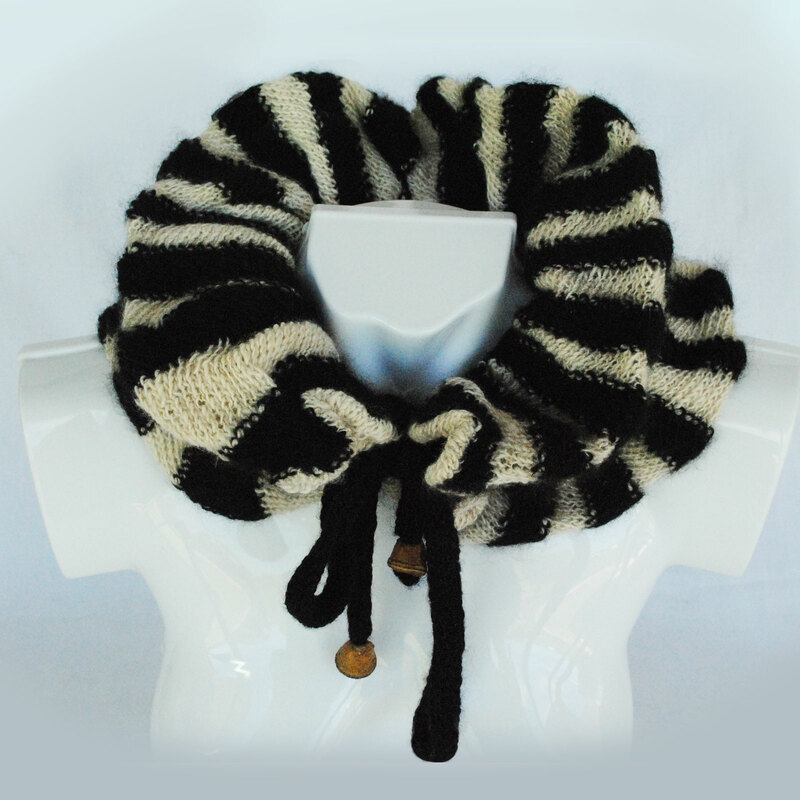 This striped ruffle cowl striking in its design of black and white stripe, can be worn under a coat or with your favourite jumper. 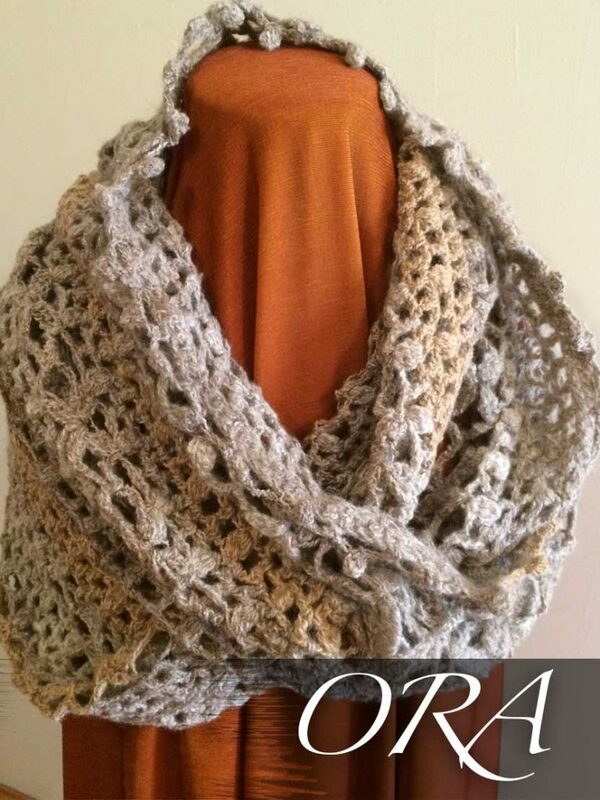 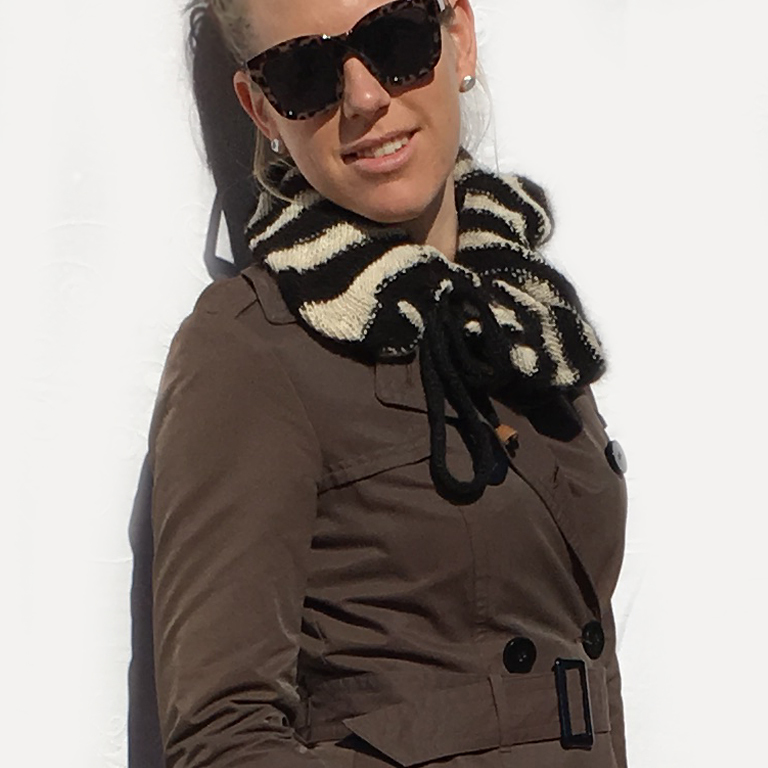 Accessorize your winter jacket with this smart ruffle scarf worn as a collar over your jacket. 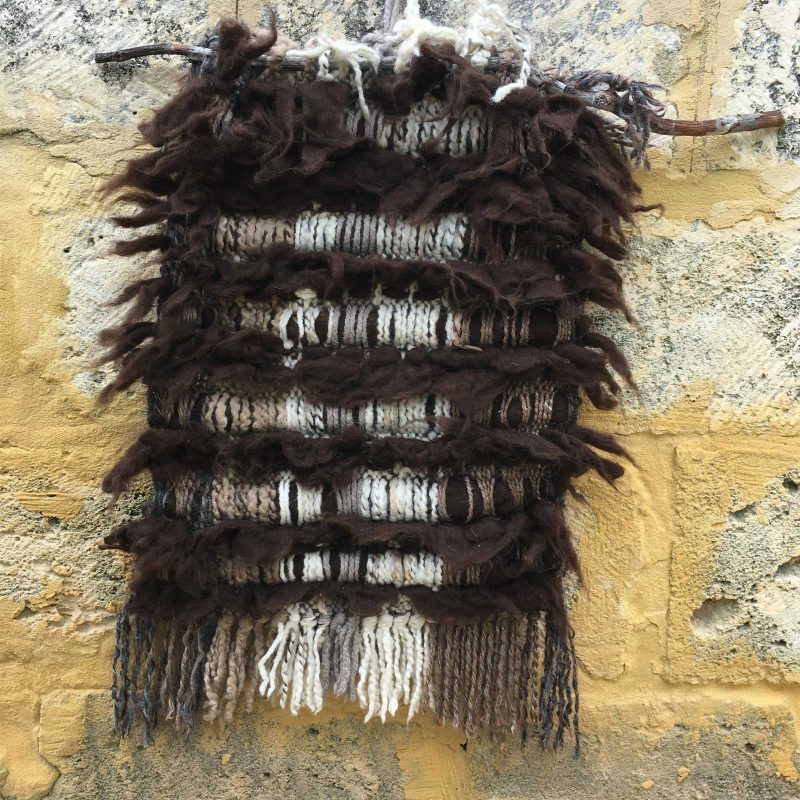 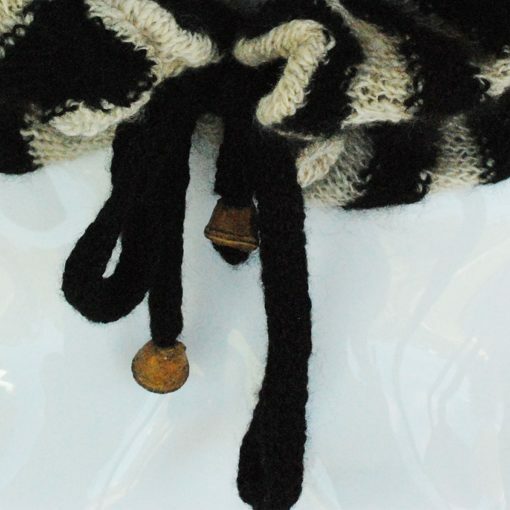 The hand spun ORA Signature Yarns used to create this Alpaca Striped Cowl Black and White are 100% natural alpaca winter white, and natural black alpaca. 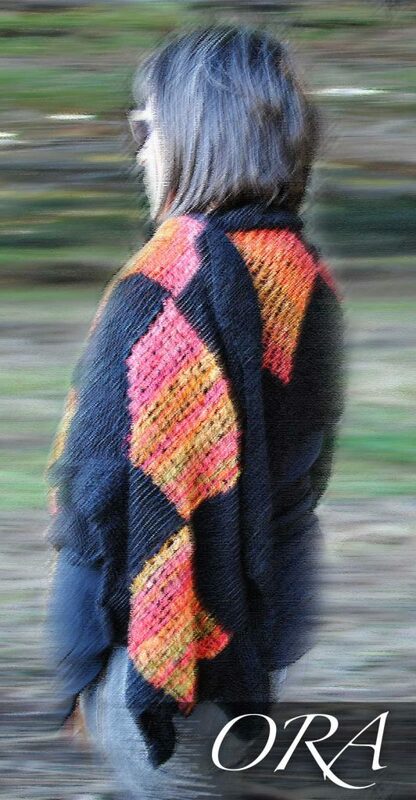 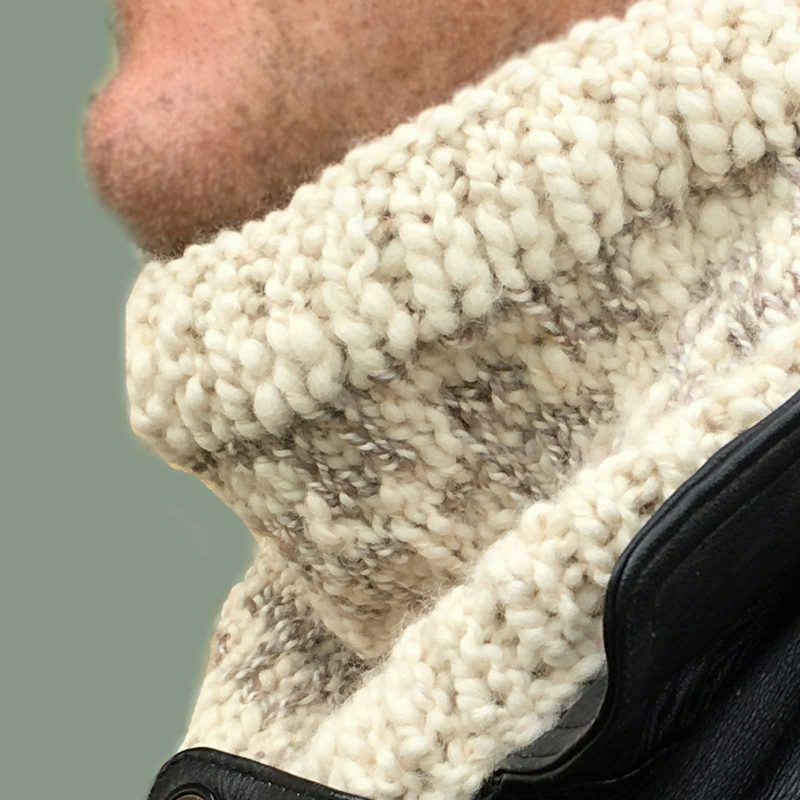 The spinning technique used has created a yarn that, when knitted, results in a bias slant to the knit, giving the knit fabric an interesting texture. 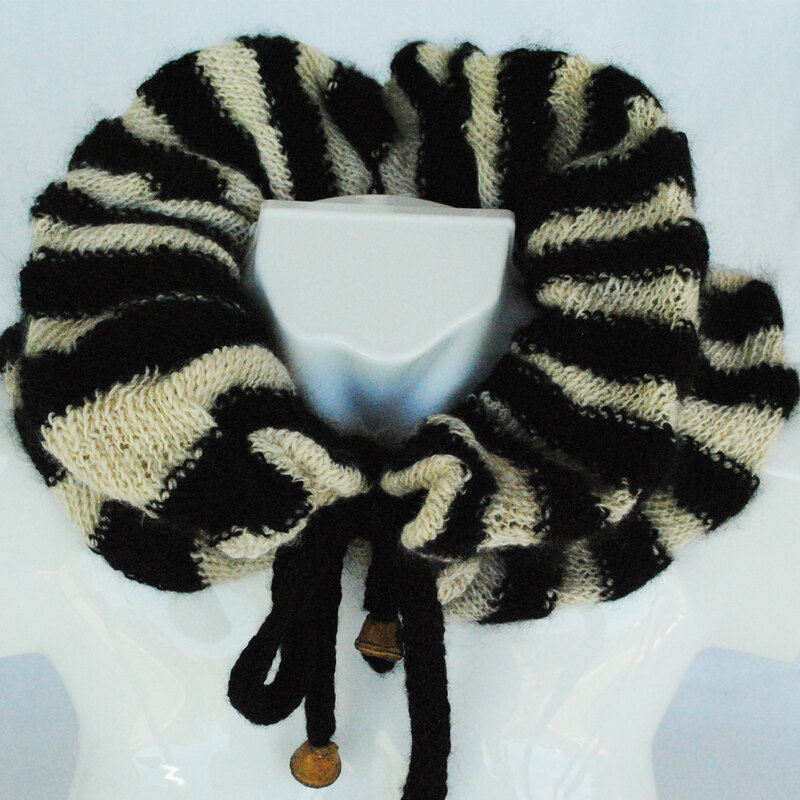 Accessorize for winter with this smart Alpaca Striped Cowl Black and White.